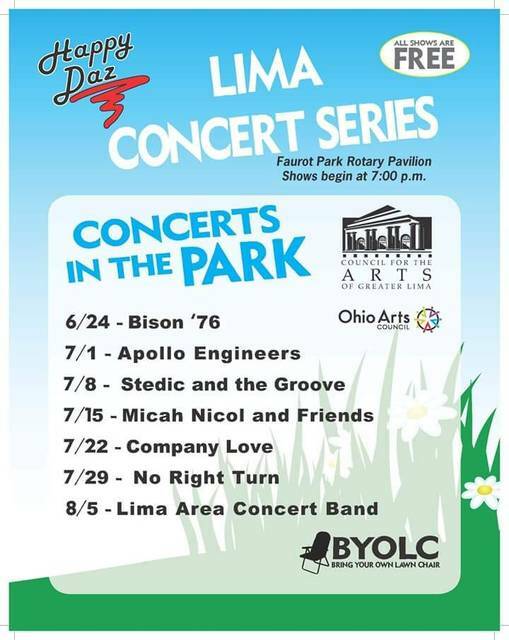 LIMA — Stedic and the Groove headlines the Concerts In The Park series at 7 p.m. Sunday, July 8, at the Faurot Park Rotary Pavilion, South Cole Street, Lima. The event is free. Bring your own lawn chair. This entry was tagged 070818. Bookmark the permalink.